'There Are Places I Remember': "The Biggest Rock Since Blackpool Rock!" "The Biggest Rock Since Blackpool Rock!" Just under an hours drive from Liverpool is the railway town of Crewe, the home of Richy Starkey since leaving his wife Elsie and son Richard in the Dingle, Liverpool in 1945 . The Majestic Ballroom stood on the town's High Street. It was owned by the Top Rank Organisation, and the beat nights held there were billed as "The biggest rock since Blackpool rock". The Beatles made two consecutive Monday night appearances at this venue on 13 and 20 August 1962. The first appearance at the Majestic was significant because this was the last non-Liverpool venue that drummer Pete Best would play before his dismissal. 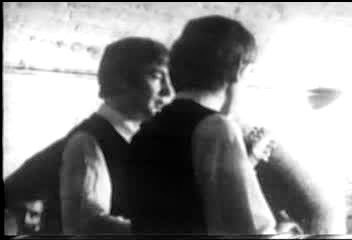 The Beatles had started the 13 August with a lunchtime performance at The Cavern club in Liverpool before making their way to Crewe in Road Manager Neil Aspinall's van. 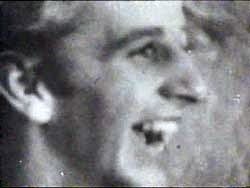 Someone who would not be staying with the group was Pete Best. The Beatles had no performances booked for the following day but no doubt a LOT was going on behind the scenes. 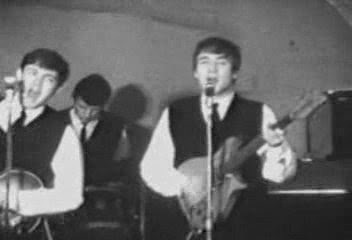 On Wednesday, 15 August 1962 the Beatles performed lunch and evening sessions at the Cavern. After the lunchtime session Brian Epstein telephoned Pete at home and informed him that he wanted to see him and Neil in his office at eleven the following morning. As Pete had met with Brian on occasion to discuss bookings neither he nor Aspinall thought this was anything out of the ordinary. It was only after the evening performance when Neil was making his usual arrangements to pick up the band the following night that he suspected something was up. The Beatles were booked to appear in Chester and when he asked John to confirm what time he wanted to be collected John declined the lift saying he would make his own way there... and then rushed off into the night. Pete was indeed sacked on the Thursday morning after a short meeting in Brian's Whitechapel office. 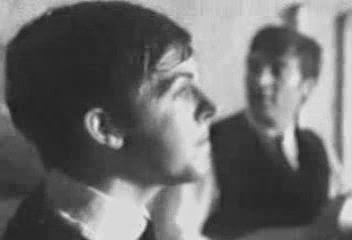 Despite assuring Brian that he would honour the Beatles three commitments that evening (Chester) and the following day (Birkenhead and New Brighton) he unsurprisingly didn't show, unwilling to face the others. Neil on the other hand did. Despite living in the Best's home and remaining a lifelong friend of Pete, he managed to stay impartial, if not completely silent, about the sacking, working for the Beatles and later managing their company, Apple, until shortly before his death in 2008. 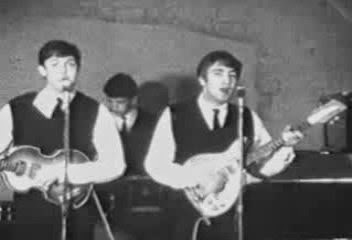 The Beatles used stand in drummer Johnny Hutchinson from the Big Three until Ringo could join the band. 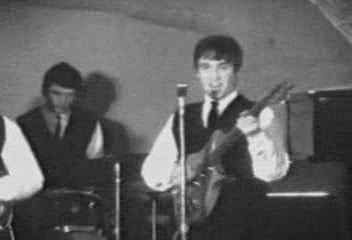 On Saturday, 18 August 1962 he made his first official appearance as a Beatle at Hulme Hall in Port Sunlight. 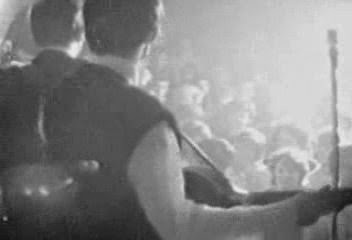 The following evening Ringo appeared with the Beatles at the Cavern for the first time to be welcomed with chants of "Pete forever, Ringo never" . Whilst the line up change was certainly a shock to some at first, any ill-feeling directed at Ringo or the other Beatles by the Cavern faithful was forgotten in a matter of weeks. Following a private rehearsal at the Cavern on Monday afternoon the new look Beatles returned to Crewe. These photographs were all taken in the Cavern on 22 August 1962, five days after Ringo officially joined the Beatles and illustrate how the group would have looked at the time of their second Crewe engagement. the original five (Beatles Anthology p86). 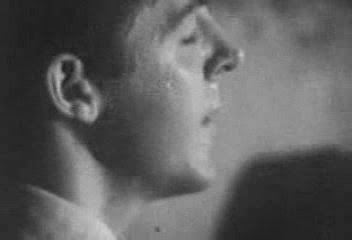 There is no evidence that one of the seven hundred audience members was Ringo's dad Richy. The Majestic was built as a cinema and opened in 1933. It was converted to a dance hall in 1961 and re-opened as the Majestic Ballroom. In 1965 it was purchased by the Apollo Group who added three cinema screens on the first and second floors and turned the ground floor into a large bingo hall. 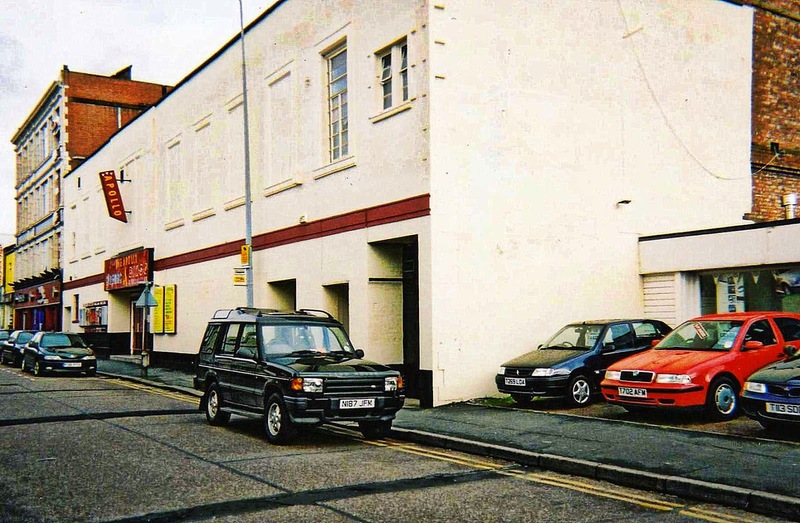 This was a very popular venue in Crewe for all ages, young and old, for many further years, but on the opening of the new Phoenix Leisure Park in September 2005, the cinema / bingo hall finally closed its doors to the public. The building then lay unused for several months before finally being purchased and converted to a live music venue, the "M Club" in 2007 which featured many well known artists/bands together with a lot of upcoming new acts from around the region. Unfortunately the cinema remained disused but screen 1 on the first floor was stripped and converted into a recording studio. "Cat FM" a community radio station began its life within the building before moving to more modern larger premises in Nantwich. The "M Club" closed it doors to the public in April 2010 in preparation for the demolition of the entire area to make way for a new Sainsburys supermarket, multi-storey car park and landscaping of the remaining ground later that year. Visiting the nearby Crewe Heritage Centre in August 2010 I thought I'd try and find the only venue in Crewe where the Beatles played. It's a good job I went when I did because experience has taught me that these old buildings can disappear at any time. It's frustrating arriving at a site expecting to see an old Beatles haunt to find something else built in its place (as I found when I visited Leigh) but it's even more frustrating when you find NOTHING has been built - what was the point in demolishing it? As it turns out, Sainsburys do not appear to have been in any rush to demolish the Majestic. If the date on the screenshots from Google Maps is accurate it was still standing in May 2014, the plans to re-develop Crewe's High Street apparently abandoned due to "difficult economic conditions".